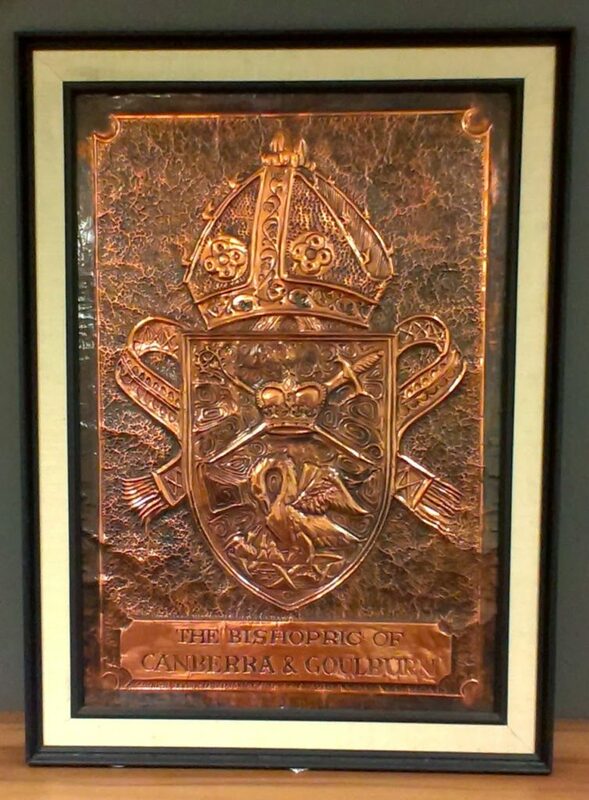 When I first moved into the Diocese of Canberra and Goulburn, I was intrigued by the image of the pelican with its bill to its chest, showering its young in liquid, found on our Diocesan crest. So began a little research project into the origin of this most curious symbol. The symbol hearkens back to medieval days and animal bestiary myths of the 12th century and goes by the name of the ‘vulning pelican’ or the ‘pelican-in-her-piety’. It was once believed that Pelicans were particularly devoted to their young, and that a pelican would wound its own breast (‘vulning’) to feed its young its blood. 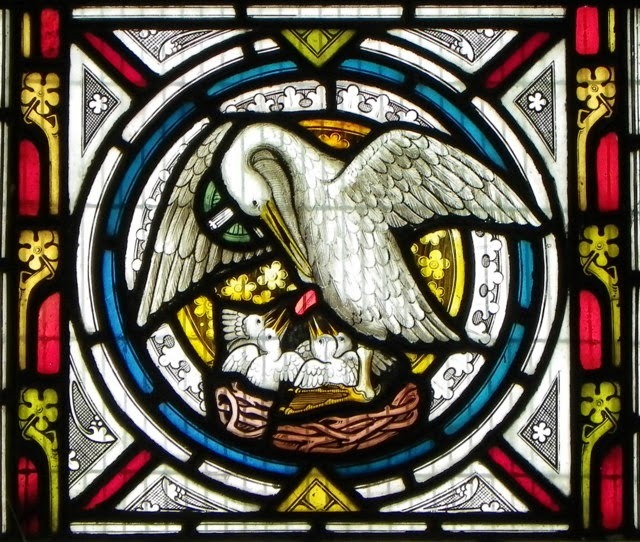 From this belief the vulning pelican came to symbolise the passion of Jesus and the Eucharist, as an image of Christ’s redemptive sacrifice. 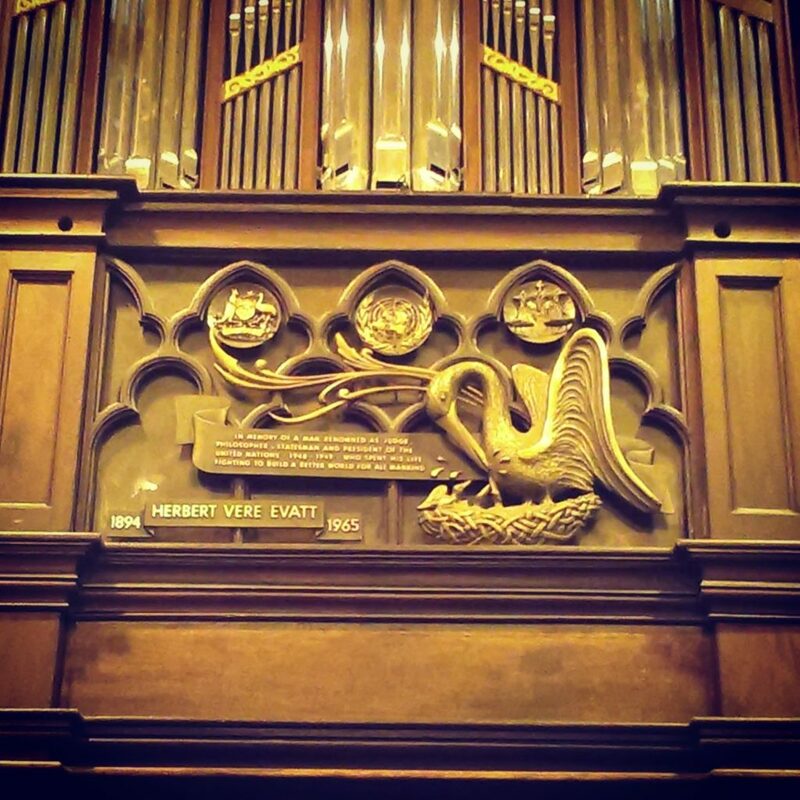 Carving on the organ at St John the Baptist Anglican Church, Canberra. There are similar references in King Lear (Act III, Scene 4) and Richard II (Act II, Scene 1). Keats also uses the line ‘Nurtured like a pelican brood’ in Endymion. Dante Alighieri refers to Jesus as ‘nostro pelicano’ in The Divine Comedy: Paradise. There is a darker twist in some earlier myths, that, after they were killed by their angry father, the mother pelican resurrected her dead children with her own blood, or alternatively, the father himself, moved by remorse, resurrects them with his blood. It is, however, a myth that pelicans have ever engaged in this particular act of parental devotion (or destruction) and legends of self-wounding perhaps arose from the way pelicans draw their bill against their chest to release excess water and manipulate prey caught in it. They then transfer macerated food, or regurgitated liquid, to the mouths of their young. Elizabeth 1 of England adopted this symbol, portraying herself as the mother of the Church of England, and is wearing the pelican on her chest in a portrait painted by Nicholas Hilliard in 1573. Crest of the Bishopric of Canberra and Goulburn. Pelicans have also been used extensively in heraldry and the image became linked to the medieval religious feast of Corpus Christi. The universities of Oxford and Cambridge each have colleges named for this religious festival, and both colleges feature pelicans on their coat of arms (created in 1570 for Cambridge at the request of Archbishop Matthew Parker, and possibly in 1574 at Oxford). A pelican sundial was erected in the courtyard of Corpus Christi College in Oxford in 1581. Thomas Greenwood, who was president of Corpus Christi College in Oxford shortly after Cranmer became one of the Oxford Martyrs in 1556, had in his possession two volumes of Luther’s work, with a presentation inscription to Cranmer, which may or may not hint at a connection between Cranmer and the pelican association at Corpus Christi. 1. MacCulloch D., Thomas Cranmer: A Life (Yale University Press; 4th Print edition, 1998). 2. Warren C.A., A Little Foolishness: An Autobiographical History (Church Archivists’ Press, 1993).